Microsoft has very quietly slipped a new keyboard named as “Modern Keyboard” that is said to have integrated Fingerprint ID under the hood. We can expect it to be successor of the present Surface Keyboard and comes with similar looks. One more thing that will come with the new “Modern Keyboard” is the ability to use cable connection instead of wireless. 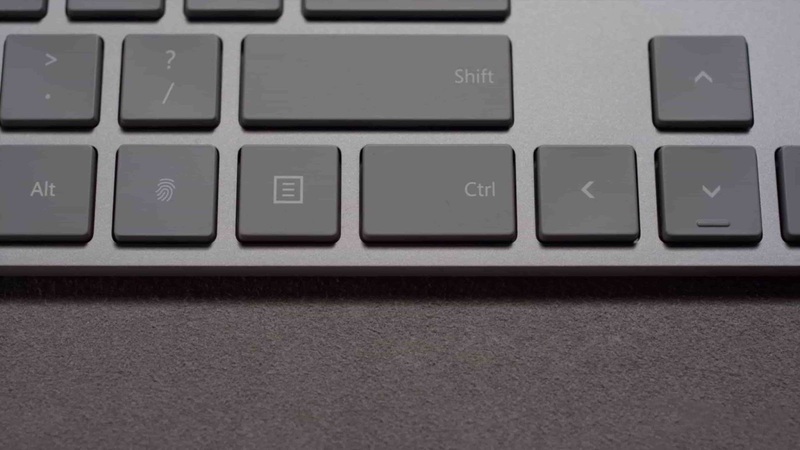 From the video released by Microsoft we can see that the fingerprint is integrated in the second widows key on the keyboard in the right-hand side. This will give users the ability to use windows hello and login to windows and websites with the help of it. The “Modern Keyboard” will be supporting Windows Devices, MacOS, and latest Android Devices. The device is not yet available in the market but will be available shortly with the price tag of around $129.99. One can say that Microsoft is in a hurry to launch the “Modern Keyboard” after they have just released surface keyboard for $99. The “Modern Keyboard” will be one of the best desktop keyboard in the market with a laptop-like feel and a Fingerprint ID.